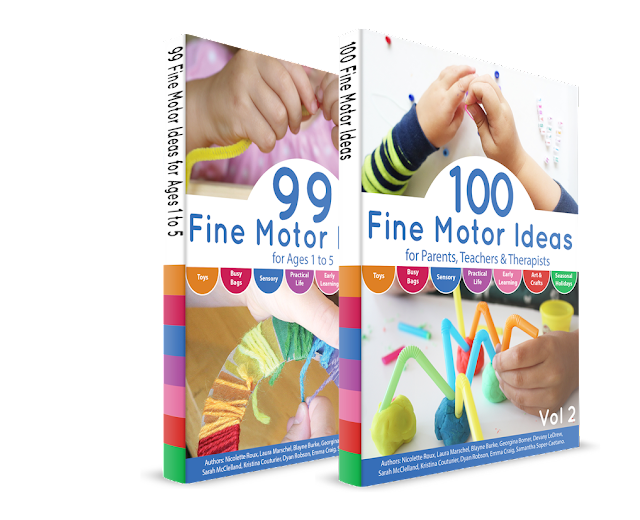 Your children will benefit from consistently fun fine motor practice while engaging in these educational and entertaining activities together! Teachers, parents, and therapists all love and recommend our books. 99 Fine Motor Ideas and 100 Fine Motor Ideas Volume 2 both present fun, engaging ideas to involve the fine motor muscles in your child's hands, fingers, and wrists. Ten talented moms come together to share the most successful, creative, and inspiring invitations to play to get those little hands working. 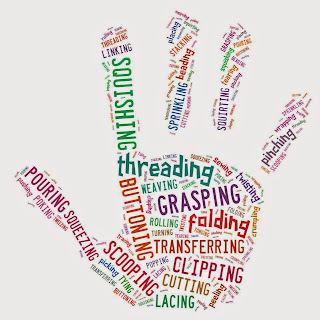 Your child's hands develop and change so much in the first years of life. 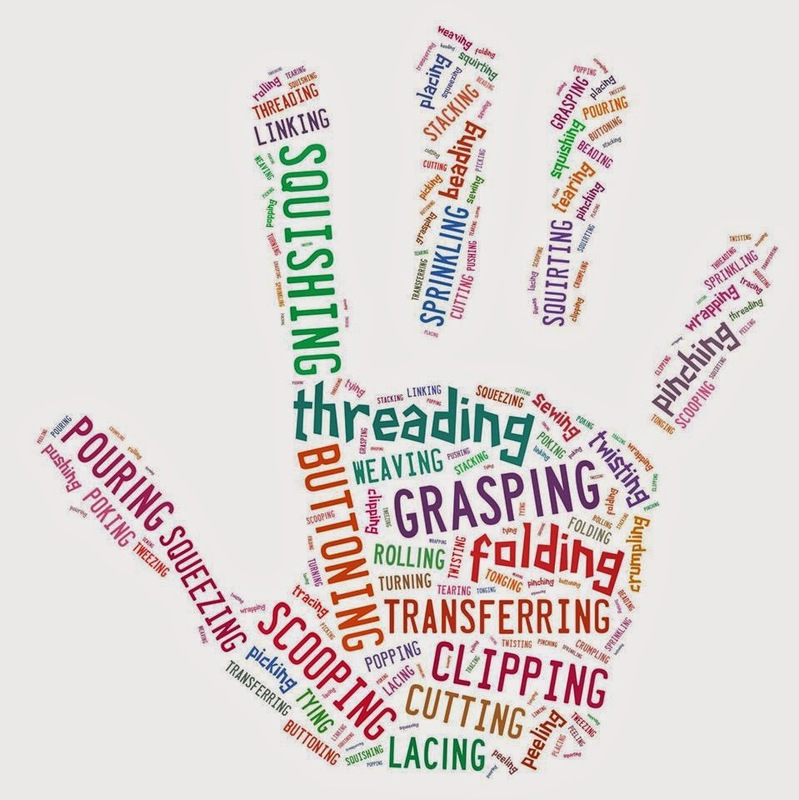 From chubby newborn fists that can barely open to infants reaching for your face as they coo to toddlers self feeding and stacking blocks, soon you will have a preschooler learning to cut, write, and turn the pages of a book!